It’s the most common shooting error, one every shooter has done at least once, and one many shooters don’t realize they have. It goes by several names—the flinch, anticipation, and jerking the trigger are among the most common. While the problem may not be apparent to the shooter, its results are. 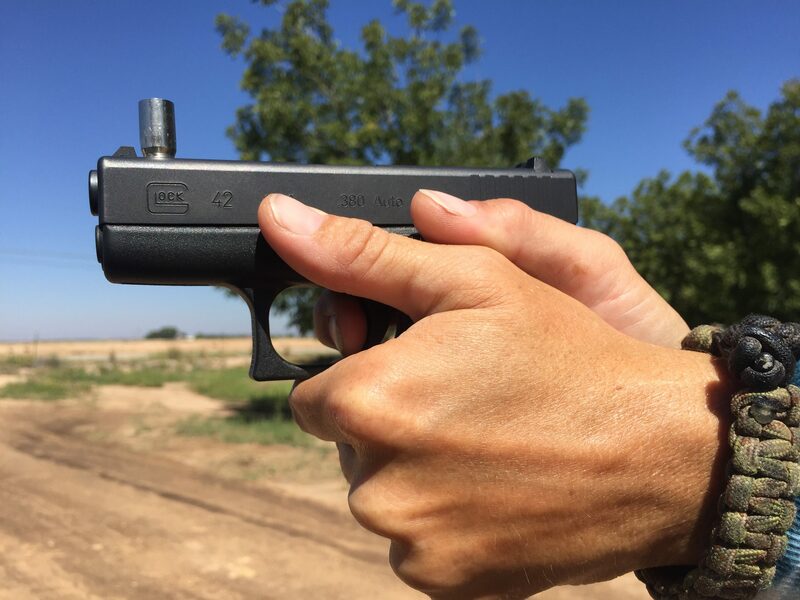 There’s a group of holes on target, but too low—often low and left for the right-handed shooter, or low and right of center for the southpaw, at least when dread of the shot is driving their trigger technique. Shot groups that are centered and low are the mark of a shooter who’s probably not much bothered by the occasion of the shot breaking, but is nevertheless making a momentous occasion of attacking, rather than pressing the trigger. 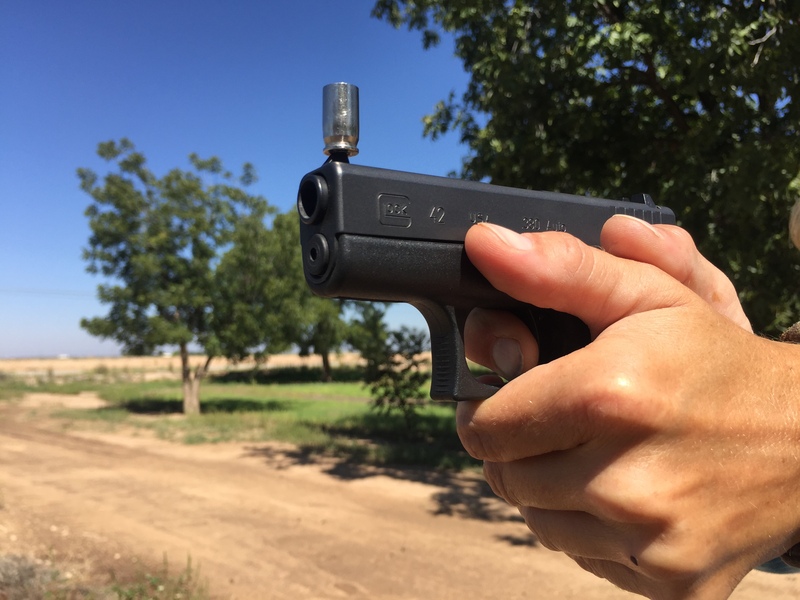 This drill can help shooters in both camps, and is very useful for people who are inclined to learn by doing, rather than hearing or observing. Without violating the muzzle rule a friend can catch falling brass. The empty case drill requires a buddy, one who can be anywhere you can dry fire, not necessarily the range. It’s sometimes easiest to do at the range thanks to the abundance of empty pistol cartridge casings laying around. The caliber of the empty brass you pick up doesn’t matter, but I prefer .380 or 9mm for its size and light weight. These light cases deliver the lesson fastest, with the least frustration to the requisite volunteer. You or your buddy must gather up and dust off a couple empty .380 or 9mm cases. Unload the firearm of all ammunition. Completely remove the magazine and double check to confirm a clear chamber. Close the slide or cylinder. Assume a firing stance and grip, on a target that’s approximately eye level. Have your buddy place one empty case, primer-side down, atop your front sight. If your sight is slanted such that it won’t hold the case, place it just behind the front sight. 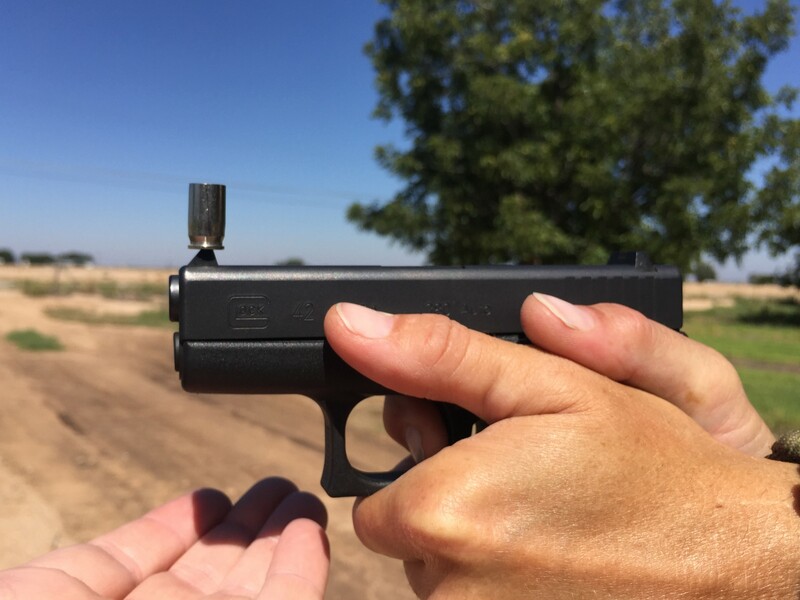 Press the trigger until the “click,” what would be firing a live round, and keep the case balanced on the sight. Hopefully your attentive buddy will catch any that fall. Reset the slide and repeat the drill until it’s easy to “break the shot” without the case falling. If the front sight is too small or slanted to hold a case, but it right behind the front sight. That’s it. It’s easy and effective, unless the wind is blowing as it often is in my part of the country. In that case, gather up a handful of empty brass to practice indoors, after sequestering any live ammunition in another room. This drill doesn’t work for everyone, but I’ve seen it work like a magical key to unlock good shooting, especially for the kinesthetic learners. Why not try it with a friend next time you’re at the range? Props to Larry Vickers who introduced me to this drill. Have you ever tried this one? Let us know in the comments below. In my military police training many years ago we had a range Sargent who used this training tool to teach us how to shoot the .45 that we were all going to carry. I have used this same procedure helping several including children and grand children to be more accurate as I felt that it was the best training that I had taught.